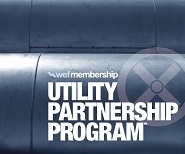 Enhance your future in the water sector by becoming a member of WEF & PWEA. Watch the new Membership video and learn more about a dynamic suite of member benefits and resources. Click the image to download the PWEA Membership Brochure. A nationally recognized quarterly technical publication containing problem-solving case histories design/process operations articles, advance notice of continuing education and legislative updates. This valuable publication also highlights current technology trends and issues affecting the water and wastewater sector. Monthly email communication designed to provide time sensitive information or information received later than the deadline for inclusion in the Keystone Water Quality Manager. A Member-Only Benefit. State-of-the-art technical training programs in the form of workshops, technical conferences, reference library, and technical publications designed to address continuing education requirements for all wastewater and water professionals. Members receive discounted registration fee. A Pennsylvania technical conference and exposition for water quality professionals; includes technical sessions and workshops related to the water sector. This conference attracts water quality professionals from all areas of the country. Attend technical sessions and workshops for continuing education credit and/or PDHs, and visit exhibits featuring representatives of various service industries as well as, equipment manufacturers and suppliers from all over the United States. Members received discounted registration fee. Open access web posting designed to highlight career opportunities within the Commonwealth. Employers seeking water quality professionals use this forum for confidential exchange of information. Meet and share experiences, problems, and solutions with other water quality professionals facing similar day-to-day operating and management challenges. Obtain information about pending regulatory changes and participate in the legislative process. Meet and discuss your concerns with regulatory officials in non-adversarial settings. Expand and enhance your expertise and talents to become a better educated, better trained water quality professional, which will make you more valuable to an employer. Active participation on PWEA Committees can lead to important leadership positions within the PWEA and increase your professional standing.